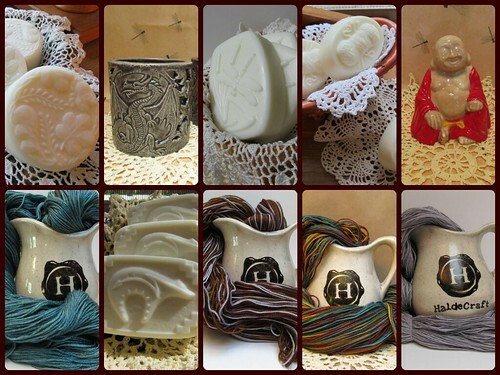 A few restocks in soap (Black Amber & Lavender, Kentish Rain, Lavender Patchouli, and Sweetgrass), a few restocks in ceramics (Dragon candle holder and Sitting Hoi Toi), and a few restocks in yarn (Soylent Green, The 40s and The 70s, and Weathered Wood). Definitely a catch-up week! You can see all the restocked items on the front page of my shop.